Order online Italian + Tyrolean specialities! Our aim is to offer original South Tyrolean specialities for an affordable price and of first class quality to those who know and love our beautiful region. In our shop you can find a big choice of South Tyrolean specialties. the tasty mountain cheese to the original bacon (Speck), tasty smoked sausages and local types of bread. We also offer South Tyrolean high quality honey directly the apiculturist, first class parfaits and jams. And not to forget local white and red wine, grappa and many more. A whole world of great taste, take your time and explore our specialities. We have prepared a PDF catalogue of our complete assortment. Download it here. Get a "piece of South Tirol" at your home! 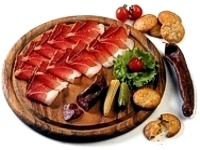 A particular South Tyrolean speciality, South Tyrolean bacon speck comes an untouched land of the mountains and valleys of the Alps and is improved by the local South Tyrolean bacon speck manufacturers after centuries of old tradition and tradition. The South Tyrolean speck is smoked delicately at 20 degrees and then the South Tyrolean bacon speck is stored at controlled temperature and humidity for at least 18 weeks. By this ripe process the South Tyrolean bacon speck receives a rustic, tender-smoky taste. The South Tyrolean bacon is quite certainly the best known ambassador of our land and at the same time the king of the South Tyrolean specialities. You have to try out this one! There are worldwide only few areas which can offer in such a way big choice in excellent wines like South Tirol. The South Tyrolean wine, , red or white, fragrantly or wholehearted, is one of the South Tyrolean specialities. The South Tyrolean wine knows to spoil also the most sophisticated palates. Try a wholehearted red wine together with high-class South Tyrolean bacon speck! Among the autochthon sorts of South Tyrolean wine, South Tyrolean specialities is known the Vernatsch, the Gewürztraminer and the excellent Lagrein. Estimated years ago as Lagrein Rosè, is the South Tyrolean Lagrein today one of the most asked and acknowledged red wines of Italy and this not only under those of the South Tyrolean specialities. Cheese South Tirol is an authentic South Tyrolean speciality, synonym for quality and taste. The local South Tyrolean cheese dairies which produce the cheese South Tirol are considered as the best ones of the region. Regularly these unusual achievements are rewarded at home and abroad with prices and honourings for perfect art during the production of the South Tyrolean cheese, these South Tyrolean specialities lent. The cheese South Tirol is produced in local dairies with daily freshly delivered milk the surrounding farms. According to traditional recipes and traditions the cheese South Tirol is characterised by the balance between mild and aromatic / piquant taste. The Grappa South Tirol has its origin in the centuries old wine culture and exclusively the best raw materials are the basis for the best South Tyrolean Grappa. Try out the South Tyrolean Grappa, like Müllers Thurgau, the South Tyrolean Grappa Gewürztraminer or the South Tyrolean Grappa Saint Magdalener Barrique - it shall be enjoying you to taste these South Tyrolean specialities. 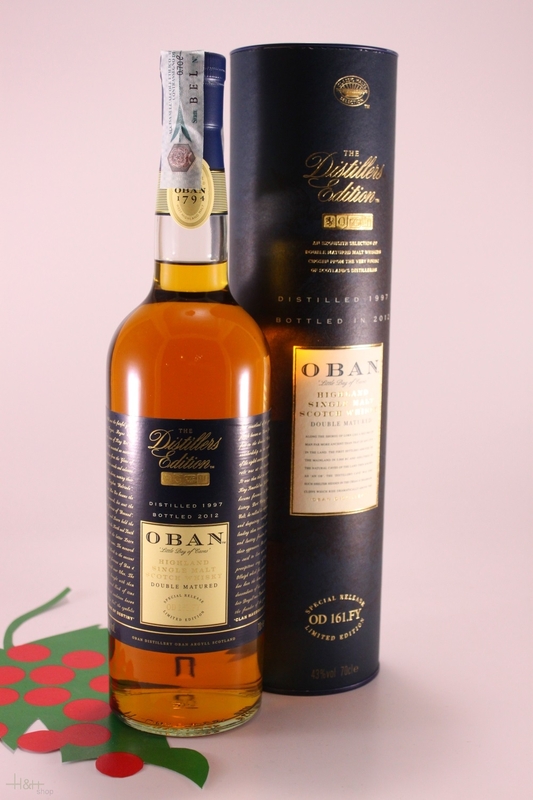 The South Tyrolean bacon, the South Tyrolean wine, cheese South Tirol and the South Tyrolean Grappa are only a small part of our product assortment which you can buy here in the online shop of the South Tyrolean specialities. Now have fun exploring our assortment! It is one of my favorites sparkling wines. I appreciate the ..